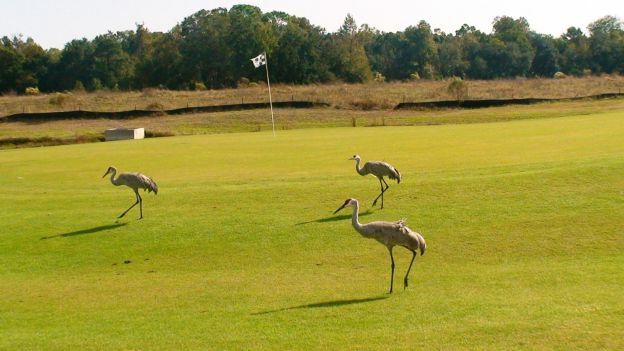 The Golf Courses of Central Florida. Ezra was an actor of some note I’m told, and he was smiling at me. At least I think he was, it was difficult seeing anything with the sun reflecting off his brilliantly white teeth. Having said that, if his acting is only half as good as his golf was, I was looking at an Oscar winner of the future. Mind you, playing off +3 and teaching golf during his ‘resting’ periods, he might have a problem deciding just what career he should be concentrating on. Ezra was kind enough to be my playing partner at the Providence Golf Club, a links type course in Davenport, Polk County. Now you might not have heard of Polk County, but to those in the know, it’s a popular place for many Brits looking to live in Florida. The reason? 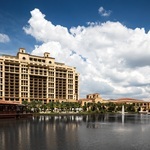 It’s just a few miles from Orange County, the home of Orlando’s legendary theme parks, but far enough away to be much quieter and more importantly, much more affordable. Not content to just be known as Orlando’s less celebrated neighbour, Polk County is secretly building its own big name attractions with Legoland the latest brand to be opening a new park there in late 2011. And unlike Orlando, Polk County goes about its business in a much more low key way, due in most part to its large swathes of natural countryside. It has for example, no less than 200 natural lakes and simply miles of state parks offering up wetlands, rivers and all kinds of wildlife including more than a few aligators. But, more importantly for me, Polk County takes its golf very seriously and with over forty quality courses to choose from, you’ll be hard pressed to pick a winner. However, if you happen to be based in the Davenport/Haines City area, here’s a look at some of my favourites. 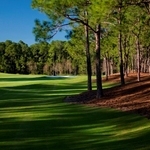 Just off Highway 27 and just a ten minute drive from Disney you’ll find a distinctly Scottish flavour here, with the emphasis on giving you a links type track with a few holes reminiscent of the Carolinas just for good measure. Unusually, this part of Florida has hills! The course is built along the Green Swamp Ridge a 120 foot sand shelf and Highlands Reserve takes full advantage of it to not only provide a round of tight tricky fairways with (gasp) downhill and uphill lies, but some fine views of the surrounding countryside too. The course itself is lined with citrus trees, so typical of this part of the world and plenty of fairway side rental homes ranging from modest dwellings to positively majestic. To complement an entertaining round, you’ll find the clubhouse staff very hospitable with highly efficient marshals ensuring you get off promptly with all your equipment intact and ready to rumble. The club house restaurant is not too shabby either with some delicious home cooked fare on offer, a perfect way to round off a thoroughly worthwhile visit. This is without doubt the jewel in the Central Florida crown. 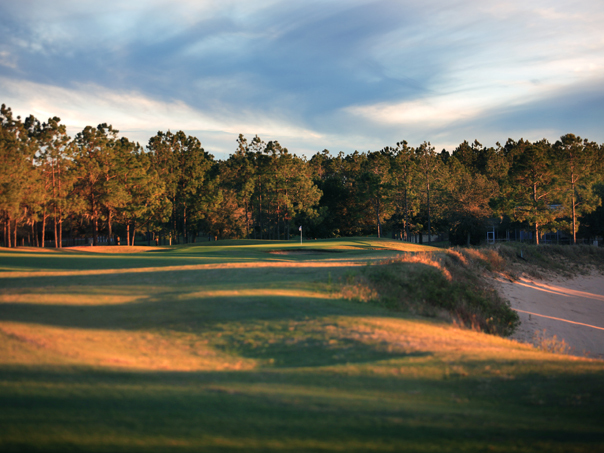 Architect Steve Smyers has produced a stunning course of imaginative design that belies its public course status. 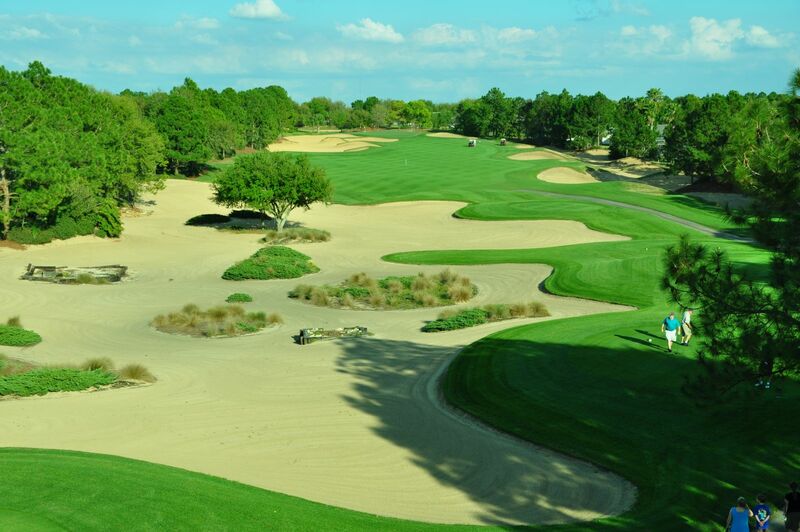 Southern Dunes is an absolute triumph, with over 100 feet of elevation changes and over 180 bunkers with the added challenge of large swathes of waste bunkers that sit there and simply challenge you to play over them at your peril. It is, to coin a well used phrase, the perfect example of how a risk versus reward strategy can be utilised in a way that promotes a challenge rather than putting the fear of God into you on every shot. There is practically no water to talk of either, which is surprising when you consider how most of the courses in Florida rely on the swampy wetlands all around to provide the water hazards, not to mention the odd dozing gator sprawling on the bank. No, instead, there is plenty of tall grass, waste sand and hills provided by the Green Swamp Ridge that cuts right across this part of Central Florida. Everything about this course is majestically top drawer, from the lush rolling fairways to the glass like greens that offer subtle breaks on one hand and devastating full on borrows on the other. There are thankfully five sets of tees to choose from, as off the back tees the course is not just long, it’s brutally long. You have been warned. When you first drive through the gates at Providence you might be thinking that you’ve made a wrong turn, because the golf course is at least another 5 minute drive away. Instead you are driving through a half finished housing development that has had the brakes put on, plainly suffering from the financial downturn. Eventually though, you’ll reach the course, and although the clubhouse bizarrely has no locker rooms, this new Mike Dasher designed course is a delight to play. Here I encountered my dashing playing partner Ezra who has a home here, so if it’s good enough for a TV and movie star, then it can’t be all bad can it? From a deceptively benign opening hole, Providence turns on the charm and slowly almost chameleon like, changes from parkland to heath land with more than a passing nod to Scottish links. There is also an abundance of water to negotiate too, with more than a few alligators, who have gladly made the deep lakes their home together with some colourful wading birds, otter and wild turkeys. Providence has a lot going for it, but it seems rather adrift within a vast residential development that looks at the moment anyway, to have an uncertain future. That said, if you are looking to play a course that will offer a healthy challenge with an excellent variety of holes then Providence will tick all the boxes. Just make sure you drive there, because a walk just might take you all day! 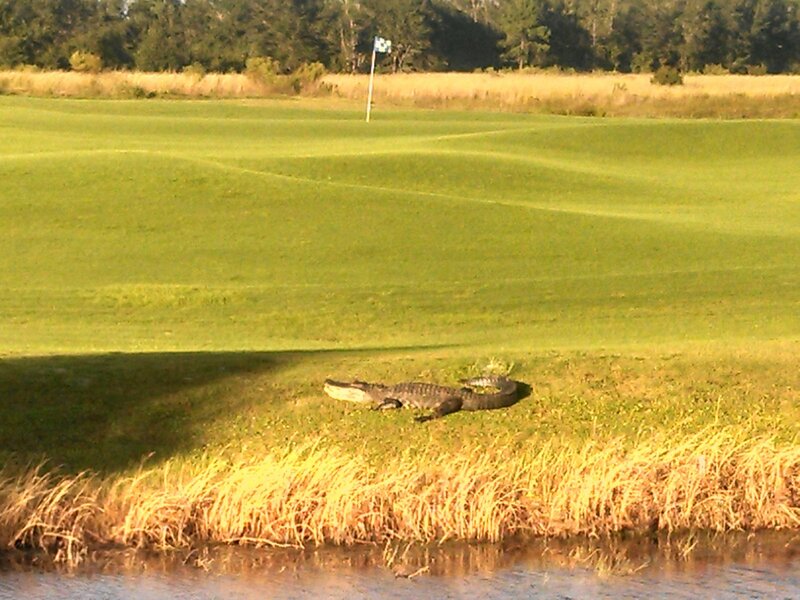 I want to play golf in Central Florida. How do I get there? 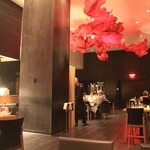 Virgin Atlantic and BA run regular direct services to Orlando.